We love a good party as much as anyone here at GMG, so we asked some of our garden designer friends for tips on using plants to make your summer party sizzle! According to James T. Farmer III, landscape designer and event planner, people planning outdoor parties think about the food and beverages but often forget about their deck or patio until the last minute. He says it's really easy to create a tropical paradise right in your own backyard! "All you need are some beautiful hibiscus or mandevilla to instantly transform your patio or deck into a summer party for weddings, graduations and the Fourth of July." No time plant? You can find stunning patio ready pots at your local garden center, which can add vivid color to any summer occasion. 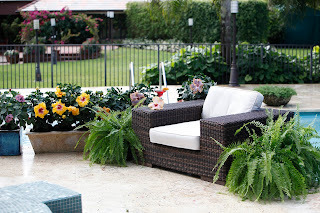 Bobbie Schwartz, past president and certified member of the Association of Professional Landscape Designers (APLD), recommends creating a focal point using a series of accessories. “Place three containers of varying heights near an entryway to welcome your guests. Use at least one plant that can be repeated in at least two of the containers to unify the look,” she says. 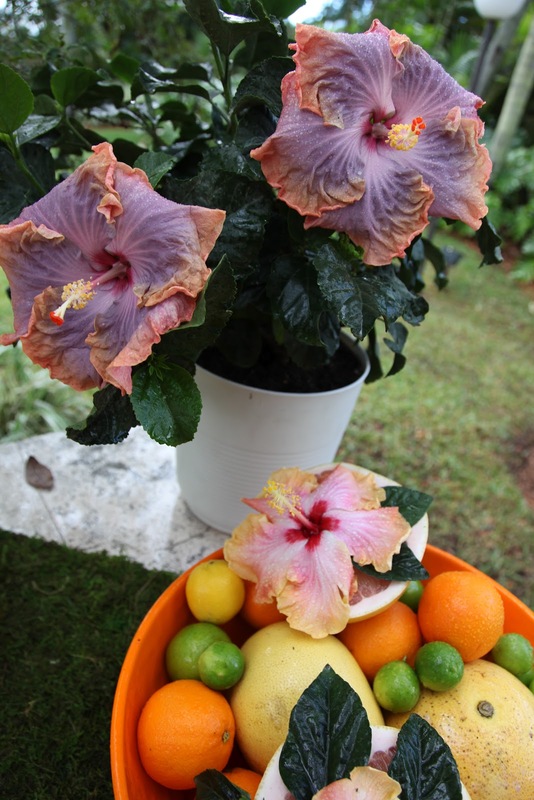 Try bringing a little paradise home with Costa Farms’ new Tropic Escape hibiscus. (www.costafarms.com). The over-sized flowers come in more than a dozen hot showcase tropical colors like Caribbean Cocktail yellow, Tiki Temptation orange, and Monsoon Mixer pink and lavender. The easy-care hibiscus bloom twice as long as old-fashioned hibiscus and can take the heat through the hottest summer months. Farmer and Schwartz agree this year’s color influences draw inspiration from nature. “Many of the new cultivars are lower maintenance and longer blooming than plants of the past and they come in bold, wow colors like purple, pink and orange that attracts birds and butterflies to your backyard,” says Schwartz. Next time you're planning your summer party don't forgot the plants to liven up your outdoor space! Way2profit provides highly accurate tips in bse tips,nse tips,Future Tips,nifty tips,commodity tips,Share Tips. Nowadays, Some of stock market investors are getting huge returns but some are not because of lack of trading knowledge. So come and let’s start discussion in this cool blog and see what everyone say about it, this will be very beneficial for stock market traders. The Chana Tips and Soyabean Tips that are truly analyzed by the market experts and advisor will be seminal for business. By this tips you can earn the great profit. Certainly a fantastic piece of work.Your blog is so captivating.Thanks for sharing. The content of this blog is explanatory enough to boost my knowledge. I am very grateful to read this. You shared some excellent points there. I am really glad to read your very informative blog. Good view point of analysis....well written content...Thanks for giving the information.